The best nutrition for newborns is breastmilk. No formula is perfectly suited to each baby like mother’s milk. Breastmilk is free and always ready to serve, even if the power goes out or when you are on the go. It is never contaminated (like formula has been in the past by beetles or melamine). Best of all, breastmilk provides lifelong protection from illness for both mothers and babies (decreasing risk of respiratory and gastrointestinal illness, SIDS, diabetes, and obesity in babies as well as cardiac disease, diabetes, breast and ovarian cancer in mothers). We now know that breastfeeding is a public health issue (like wearing seatbelts) instead of lifestyle choice (like wearing jewelry), and it is the responsibility of our whole community, not just of parents, to provide the necessary support for every mother and baby to succeed. We are lucky to have many resources in Lynchburg to support breastfeeding education – before and after the baby is born. We are thrilled that since April 2015, Centra Virginia Baptist Hospital has been designated as BabyFriendly and has a unique environment to support mothers and babies be the most healthy! There are three ways to get support. 1. Call their warm line (434) 401-9344 and leave a message any time – a lactation consultant will call you back. 2. The Baby Cafe is a free resource for moms and babies to check weights and feeding patterns on Tuesdays and Thursdays from 10am – noon in the Center for Childbirth and Family Education at Virginia Baptist Hospital. 3. If you are having trouble with feeding – we suggest you contact your pediatrician to get a referral for a one-hour one-on-one consultation. If you’re the kind of mom who has lots of questions about breastfeeding and likes to read a handout – GO HERE! Lactation Education Resources. There are lots of great websites – www.breastfeeding.com is an easy one to remember! Learn about the booby traps that keep some moms from succeeding in their goal to breastfeed on Best for Babes! For African American Mothers -breastfeeding support can be hard to find. Here are a few sites:KellyMom, Moms Rising and MyBrownBaby. Dads – don’t forget how important you are! Only 3% of women will continue to breastfeed without the support of their spouse. Remember you can save around $1200/yr on formula! For questions about medications and breastfeeding – check this site LACT MED from the National Library of Medicine – and remember that most medicines are safe while breastfeeding. General questions about baby and child health can be answered at HealthyChildren – a site maintained by the American Academy of Pediatrics. 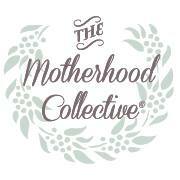 The Motherhood Collective is a local gem – an opportunity for new and expectant moms to gather and exchange information on pregnancy, birth, and parenthood. They have panel discussions, parenting groups, playdates, and childcare! Meetings are at 10AM on the 2nd and 4th Monday of each month at Mosaic in The Plaza: 2323 Memorial Ave, Suite 19 (Lower level, next to HighPeak Sportswear). The Plaza is located behind the Lynchburg Public Library. Read more on their website or Facebook page. 1 in 5 mothers struggle with postpartum mood disorders. There are local support groups available through the Motherhood Collective. Also, Postpartum Support Virginia keeps a list of state-wide resources. As of 2019 – 4th Wednesdays at 6pm at Horizon, 2nd & 4th Mondays at 7pm at Wyndhurst, and 1st & 3rd Thursdays from 1-2pm or 5:30-7pm at Virginia Baptist. Click here for a free resource called The Business Case for Breastfeeding which can help you create a breastfeeding-friendly worksite and achieve an enviable return on your investment. 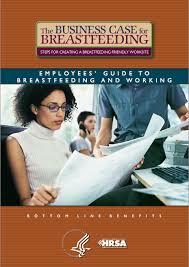 Contact Lactation Health Resources about their Back to Work class which can help employers AND employees succeed.